The San Diego Padres and the St. Luis Cardinals meet on Monday for game one of their series at Petco Park. The San Diego Padres havenât had a very successful year but they have played in a lot of close and competitive games and have something to build on for the future. The Padres are 6-4 in their last 10 games, 35-34 at home this season, and they are 13 games back in the NL West. As a team the Padres are hitting .244 with Chase Headley hitting .284, Yonder Alonso hitting .266, and Carlos Quentin hitting .263. As a team the Padres pitching staff has an ERA of 3.91 with the starters at 4.25 and the bullpen at 3.27. For game one against the Cardinals San Diego starts Eric Stults who has won all four of his decisions since moving to the starting rotation. For the season Stults has allowed 63 hits and 18 earned runs while striking out 31 over 69 innings for a 2.35 ERA. The St. Louis Cardinals are battling it out for the Wildcard spot in the National League and currently they would barely be in if the season ended today. The Cardinals are 4-6 in their last 10 games, 32-36 on the road this season, and they are 8.5 games back in the NL Central. As a team the Cardinals are hitting .274 with Jon Jay hitting .323, Yadier Molina hitting .321, and Matt Holliday hitting .302. As a team the Cardinals pitching staff has an ERA of 3.82 with the starters at 3.72 and the bullpen at 4.04. For game one at San Diego St. Louis starts Jaime Garcia who won last time out to end a person four decision losing streak. For the season Garcia has allowed 108 hits and 43 earned runs while striking out 73 over 93 innings of work for a 4.16 ERA. San Diego si 11-2 in their last 13 game one of a series, 8-1 in their last nine games against the NL Central, and 5-1 in Stultsâ last six starts. St. Louis is 4-8 in their last 12 games overall, 2-5 in their last seven games as a road favorite, and 1-6 in Garciaâs last seven road starts. Petco is a pitcherâs park and these two pitchers set up for a lower scoring game and while the total is set aggressively low the play here is the under. 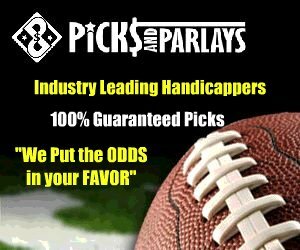 My stronger play is on the winning side and I will post that in the Premium Area as well as making the pick available for individual purchase.